There are a number of multi-sport athletes around the world, although only a few have competed at a professional level in two different sports. Micheal Jordan, Conor Mcgregor, Muhammed Ali to name a few great sporting personalities have switched and competed in two sports. Croatian and Inter Milan winger Ivan Perisic recently claimed it was his dream to play beach volleyball. The winger has played the sport since he was 10 years old and continues to make headway playing in charity events and might make a switch to the sport once he's hung up his football boots. A number of former footballers such as Curtis Woodhouse, Clive Allen to name a few are honourable mentions who tried their hand at boxing and NFL Europe respectively. Here we take a look at five football personalities who switched to take part in another sport. 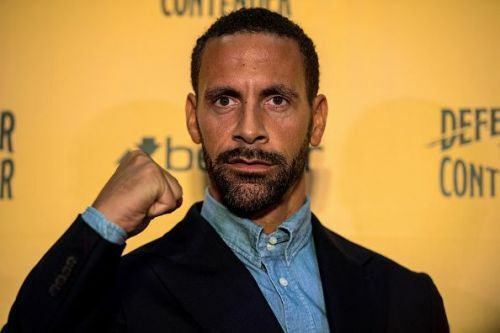 Former England and Manchester United defender Rio Ferdinand recently announced that he is looking to box professionally aged 39-years-old. After a stunning professional career, the former central defender is looking for another challenge. The multiple time Premier League winner and Champions League winner still needs to attain a professional boxing license but claims he is working towards the goal. Expected to fight sometime next year, Ferdinand is set to enter the ring aged 39 and make his debut. A veteran accomplished footballer, Ferdinand also works as a pundit covering Premier League and Champions League games. Eager for another big challenge, the former England defender has set himself a royal one, as looks set to enter the sport of professional boxing.